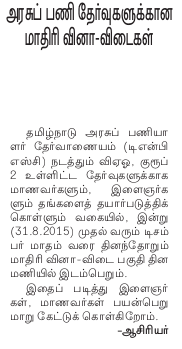 Dear friends Dinamani Newspaper has been publishing Model Question Papers for all group examinations conducted by Tamilnadu Public Service Commission . The model questions and Study Materials for TNPSC VAO Exam are compiled by Sathya IAS Academy, Chennai. 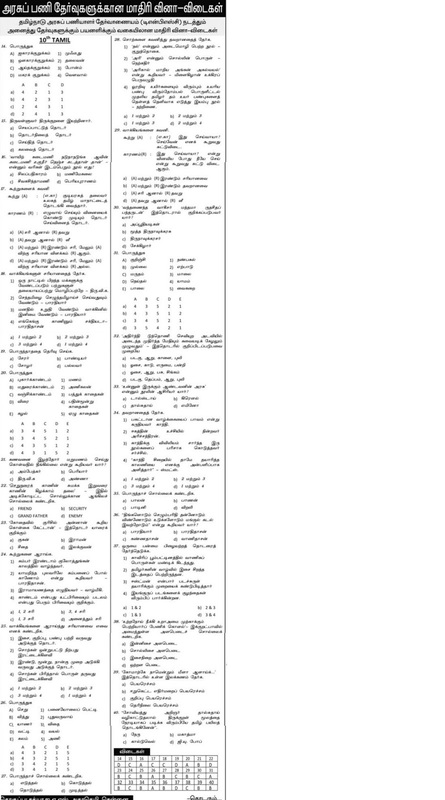 The questions are in English and Tamil and TNPSC Exams Standard. You may buy the newspaper daily. If you missed a copy, don't worry, you can read it in the Dinamani Epaper also from the following link. Note : From January 2017, you may directly download model questions from Dinamani website from the above mentioned link. Previous Month Model Questions are given here.